The TaiG jailbreak tool lets you jailbreak any iOS device (iPhone, iPad, iPod Touch) running on iOS 8 – iOS 8.1.1 or iOS 8.1.2 – iOS 8.4. If you haven’t upgraded to iOS 8.4.1 yet and are on any of the compatible firmwares, then you can use this tool to jailbreak. 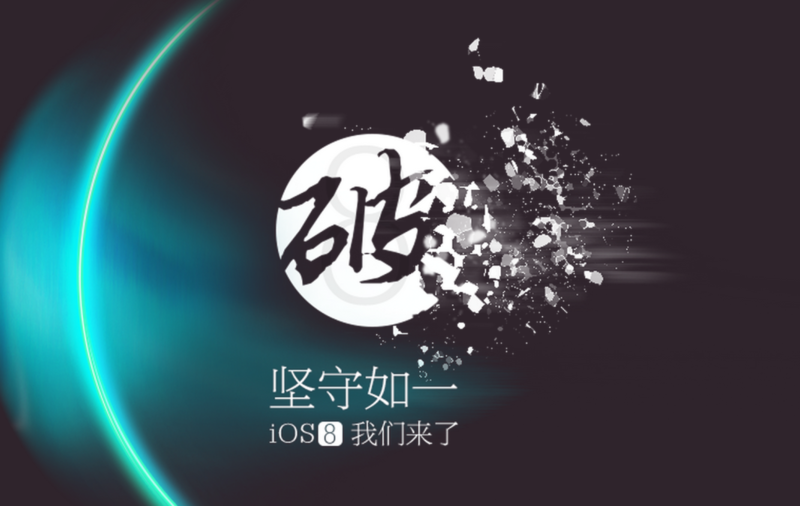 TaiG has its roots in China and became popular thanks to the release of iOS 8.1.x jailbreak after Apple patched Pangu’s exploits in iOS 8.1.1. The TaiG tool can be used to jailbreak iOS 8, 8.1, 8.1.1, 8.1.2, 8.3 and 8.4. If you’re on any of these firmwares, then you can have an untethered jailbreak and enjoy all the tweaks from Cydia. Despite Apple’s efforts to find and fix bugs, the TaiG team managed to jailbreak iOS 8.3 and then 8.4. They have now set their sights on iOS 9 and since I0ni1c has already shown us that iOS 9 can be jailbroken, perhaps the team is working on an iOS 9 jailbreak tool. Apple will release iOS 9 later this month (iOS 9 is now available to download for iPhone, iPad, iPod Touch), so until then, if you want to enjoy a jailbroken iOS device, it is recommended that you do not update to iOS 8.4.1. TaiG jailbreak tool for iOS 8.4 is available for both Windows and Mac users. If you’re planning to jailbreak your iOS device running on iOS 8.4 or earlier, then TaiG is the tool for you. The latest version of their tool can be used to successfully jailbreak iOS 8.1.1, 8.1.2, 8.3 and 8.4. You can download either the Mac OS X version or the Windows version of the TaiG jailbreak tool from our Downloads page. After downloading, simply unpack or unzip to be able to use the tool. The tool is in English and is quite small in size. The latest version of TaiG jailbreak tool for Windows is v2.4.3 and for Mac is v1.1.0. Like we mentioned before, the TaiG jailbreak tool can be used to jailbreak iOS 8, 8.1, 8.1.1, 8.1.2, 8.3 and 8.4. iJailbreak has several guides for both Windows and Mac users on how to use the TaiG jailbreak tool. Before you start the process, it’s best that you make a backup. However, if something goes wrong, you will be forced to upgrade to iOS 8.4.1 and give up the jailbreak. Make sure you follow our guides properly to achieve a successful jailbreak. Did something go wrong? Please use the comments section to ask us your queries and we’ll definitely help you out. I’m still not sure how to download I have a iPad mini but I don’t have a computer will that be a problem?